There's a dawning realization among mobile app product leads, managers, developers and marketers that despite all the amazing bells & whistles we stuff into modern apps, a poor user experience (slow load times, errors and timeouts) will still always be the #1 predictor and driver of churn. It’s the age-old paradigm of fashion vs. function — or, in modern tech terms, front-end vs. back-end. By prioritizing UI, UX, functional and visual design, and so on, apps have become beautifully loaded bursts of cool functionality, and there’s certainly nothing wrong with that. Four years ago, the average iOS app was 23MB. Now they’re averaging out at nearly 50MB — more than double the size. We’re putting a lot into our apps these days, and the world's mobile networks aren’t always well-equipped to respond to all the activity going on within any given app. This classic blog post from last year tells that tale quite well. Without strong testing and metrics that easily show how an app is performing "IRL" (in real life), brands and app owners really don't have a good sense of what's truly driving their uninstalls and/or low usage. Here are 3 stats that show just how important app performance testing really is. 1. Mobile App Error Rates are Probably Higher Than You Think. At Neumob, we’ve seen that our customers’ average (pre-Neumob) error rates for their mobile apps hover between 3-12%. These error rates are highly variable and depend on network conditions. In the United States, we'll typically see 3% error rates, whereas in India, China, and on challenging networks in Europe and Asia, we see error rates up to a frustrating 12%. Not measuring and then getting a handle on mobile app errors will quickly result in frustrated customers, uninstalls and 1-star reviews in the app stores. And no one wants that. 2. A Poor App Experience Directly Translates into Lost Revenues. Neumob recently asked consumers of mobile shopping apps several questions that tried to gauge how they respond when their app experience doesn’t go as planned, either due to speed or performance issues. The connection between the frustration that comes from a poor-performing app and a complete loss of the sale (and their associated revenues) is specific, and as we found, quite measurable. Our research found that over 47% of respondents, when faced with a product image that doesn’t load (just one simple image! ), will either exit the app and buy the item from a different seller (20%) or exit the app, and then try to buy the item from the seller's website or in their store, if they have one (27%). Let’s assume that a healthy three-quarters of the latter category do end up buying their item(s) from the original seller. That’s still a net loss of 29% of customers, all because a lone product image didn’t load, due to the app not being tested and then optimized for those highly variable and congested mobile network conditions. 3. App Speeds Fluctuate Wildly Around the World. Finally, it’s important to take stock of your app’s network performance not just in your own internal testing, in your own market or country, but in all the markets in which you have users. The key things to measure are speeds in various countries, speeds on various mobile networks within those countries (2G vs. 3G vs. 4G/LTE etc. ), as well as the speeds of individual domains within your app itself (third-party calls like images, ad networks and the like). You might find that your app performance is actually quite strong in more developed markets with strong mobile networks such as the US, UK, Germany, Japan and so on - but that you’re getting killed in countries like India, China, Brazil or in Southeast Asia, where the transition from 2G to 3G to 4G networks is still in the process of taking place. Mobile app speeds can be up to ten times slower from country to country, and often even worse than that from network to network. Best to know that up front, and to then respond accordingly. You’re likely to determine that an app acceleration solution will make a phenomenal difference in achieving large jumps in these metrics, simply by loading pages quickly and reducing app timeouts. These are likely to be especially pronounced in those congested, smartphone-crazy countries that haven’t quite seen the associated mobile network build-outs of the developed world. The key is to get started with measuring app performance in the first place, and to give the underlying function of your apps the attention they richly deserve. 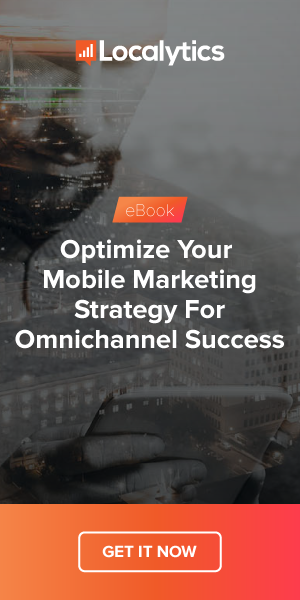 Jay Hinman is a mobile industry veteran and VP of Marketing at Neumob, the leader in speeding up mobile apps, reducing their errors and boosting conversions, everywhere in the world. To learn more about Neumob, check out their site.